Is "Patient-centric dementia" the 'one last heave' of the medical model? Around the world, there is a huge tension, both ideologically and in terms of the arguments for financial sustainability, between the ‘social model of disability’ and the pharmacological ways of doing things. For example, only today, leading academics, researchers and practitioners from the field of dementia will meet to debate how access to music therapy can be improved for people with dementia. That music can unlock memories and emotions is completely to be predicted with a working knowledge of the cognitive neuroscience of the human brain, and the parts of the brain which are known to be affected in types of dementia. I in fact review this neuroscientific evidence (and the cognitive neurology corollary) in a chapter of my new book on living better with dementia. In my first book on living well with dementia, I argued that an understanding of the ‘person’ (“personhood”) and his or her interaction with the environment is essential for pursuing wellbeing for anyone living with dementia. I still fundamentally believe that – nothing has in fact changed in the intervening year since that was published. As Kitwood argued, “It is a standing or status that is bestowed upon one human being, by others, in the context of relationship and social being. It implies recognition, respect and trust” (Kitwood, 1997, p.8). However, there’s big big money in ‘patient centricity‘. And, as Kate Swaffer said earlier this year, ‘yep, there is really big money in dementia’. You can analyse til the cows come home why ‘choice’ is difficult to achieve in living well with dementia. The fundamental drive between the “Lansley reforms” as they affectionately came to be known, or the Health and Social Care Act (2012), was to introduce market competition between suppliers with a view to ‘liberalising the market‘, supposedly to drive down costs and improve quality. I happen to believe this was a dud approach; and so, as it happens, so did other people much more knowledgeable and influential people than me. Anyone who purports to understand market economics, aside from the issues with few big providers providing a somewhat monopolistic effect, will warn you rightly about the ‘information asymmetry’, or mismatch in information, between consumer and vendor (seller). This is of course was the foundation of the work on the Nobel Prize in economics awarded in 2001 to Prof Joe Stiglitz and colleagues. This might include, for example, that a person living with dementia might simply not know that other non-pharmacological ways of promoting living better with dementia might exist, such as a simple iPod. A fundamental way in which you might not achieve ‘choice’ is if the money runs out; a major criticism of personal budgets is that, behind the ‘choice agenda’, it merely acts as an instrument of rationing at an individual basis. But confronted with a huge burgeoning drugs bill, the case for the NHS and social care to embrace truly innovative social prescribing is overwhelming. There are various ways in which this could be achieved, such as giving NICE the powers to adjudicate on the cost efficacy of pharma vs non-pharma (which would not just be innovative but quite revolutionary), giving GPs ‘social prescription pads’, vastly improving the information given to NHS patients and people who benefit from care from the social care system, and so forth. There is, now, a genuine sense that Big Pharma have to do something pretty radical to stay relevant – but my advice to them is to ‘stay classy’. Personhood is a long-existing narrative for us in the world of the social model of disability; it has meaning for active reablement and rehabilitation for people dealing with cognitive abilities and disability following diagnosis. It is hard to argue against the fundamental premise of integrated, person-centred care, especially for dementia policy globally. 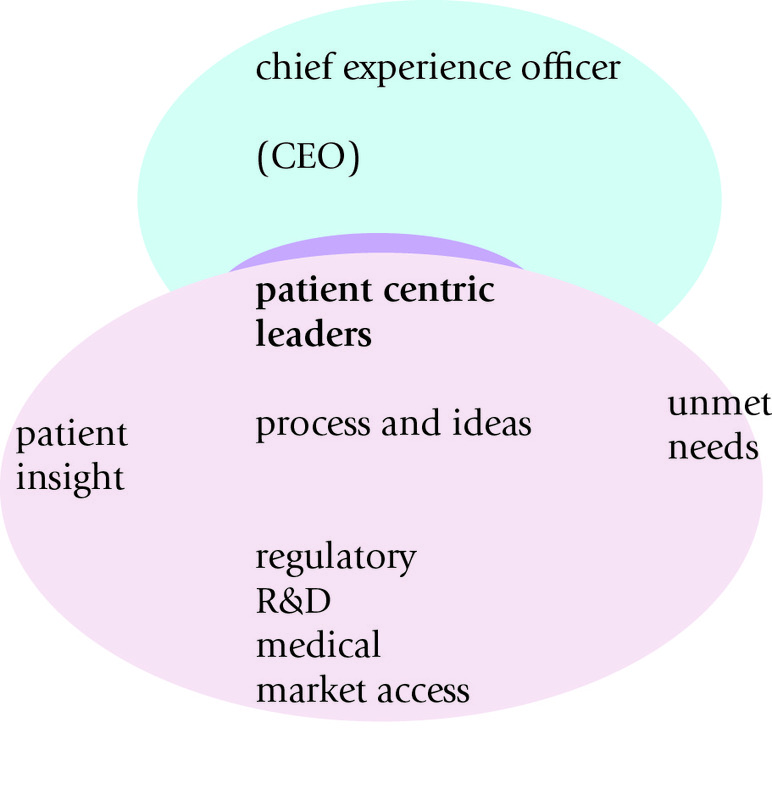 But, at the risk of viewing this as ‘mission creep’, it is worth analysing how this is merging via the world of ‘patient leaders’ towards ‘patient centricity’. There’s a lot of guff written about patient centricity, but I did find a report by Heidrick and Struggles on this emergent theme very useful. It’s called “‘Walking the talk’ in patient centric pharma“. Of course, ‘patient groups’ refuse point blank to have any truck with the idea that their patient advocates are merely stool pigeons for Big Pharma. In fairness, all of the patient leaders I know are highly upstanding people who are clearly not mouthpieces for pharma. But that is a separate argument from the fact that patient involvement in itself is a source of ‘competitive advantage’, in the form of providing an unique proposition or offering. Having greater ‘consumer involvement’ can, as a supplier or provider, distinguish you from your competitors. This is exactly as to be predicted from Prof Michael Porter’s ‘five forces of competition’ theory and practice. And also different configurations of the ‘LEGO bricks’ can be made to build into a more attractive ‘offer’ in consumer speak. This is called in the trade, literally, “value creation”. It’s at the root of the W1A “Head of Better” joke, which Alison Cameron hilariously brought up in her speech at the NHS Confederation recently. But ‘patient centricity’ does have to establish itself from another form of marketing. Marketing essentially is finding the ‘holy grail’ of untapped customers, and increasingly at the root of this is understanding the consumer psychology and behaviour of why consumers happen to be attracted to a brand. For example, when a patient is attracted to medicine, does he or she happen to like the look of the packaging or name of the brand, rather than a coherent understanding of the risks and benefits of the medication? This is no less important for any drugs purporting to improve the symptoms or delay progression in Alzheimer’s disease. It happens that the current NICE guidance is that no medication either slows the progression of Alzheimer’s disease or has a long-lasting effect on symptoms. This picture, which I’ve redrawn from Heidrick and Struggles, I think is very helpful. A “chief experience officer” sounds worryingly like a “Head of Better”, doesn’t it? But the idea of the ‘patient centric leader’ (horrible term though that is) as a broker between the market and unmet needs is a fruitful one. Also, the diagram does allude to a massive tension in the commercial viability and applications of innovation worldwide; the tension from innovation in protecting intellectual property of new discoveries, or ‘regulation’, and the commercial application of this to produce commercial advantage through ‘shared value’ and collaboration perhaps. Actually, what struck me the most was the reference to Parkinson’s disease, as ‘more than the shaking palsy’ of Sir James Parkinson. Correct. But if you were a physician wanting to use an example you wouldn’t want to use this one. Firstly, it is known that the cognitive, emotional and psychological symptoms of Parkinson’s disease long predate the onset of the movement problems (such as the stiffening, ‘mask like face’, or tremor); and yet Big Pharma has been treating the movement symptoms, and fixated on that, at the exclusion of treating the other symptoms. It’s actually their fault. You can of course argue what symptoms are most distressing; but the medical profession seem unwhat unclear on whom they’re treating with their drugs; the patient himself or the carer (who might be a husband or wife)? Secondly, I remember my time as a junior physician on the movement disorders firm of the National Hospital for Neurology and Neurosurgery. We used to perform the ‘apomorphine challenge’ to people with Parkinson’s disease, to see who would benefit from a dopamine-boosting drug. Of course, this is likely to be replaced with a sophisticated genetics blood-test screen one day. But here the emphasis is on why a drug might not work in some, rather than why it might work better in some. It entirely signs up to the medical deficits model of disease, rather than the ‘strengths’ or ‘assets’ based approach of living better. Living better is fundamentally about what people can do, rather than what they can’t do. Similarly, a better ‘drug experience’ might involve an understanding of why a particular drug might not be effective for you, maybe something to do with your own liver metabolism. In relation to drugs for dementia, few cognitive enhancing drugs have actually been demonstrated to improve wellbeing per se; other than the drugs which reduce ‘behaviours’ which have become pathologised by the medical profession, called ‘BPSD’, to extend another market. At the heart of the vast majority of these pathologised behaviours is a failure in communication, which is more cost-effective, moral, and rational means of dealing with the problem than dosing someone up to the eyeballs with medication. As a person whose physical disability came on in adulthood, I have every bit of solidarity with patient leaders. I don’t want their skills, knowledge and experience to be misused. I think, even, they ought to be paid like any other consultant in any other sphere of life. And the patient experience is extremely important in ascertaining whether the NHS and social care systems are flexible and responsive, and ‘fit for purpose’. But likewise there’s an on-running need to find the exact rôle for Pharma in the overall English dementia strategy, and all of us have some responsibility for this. Even me – who is business trained and a physician, but, above all, a patient himself. My advice is, for these corporates involved in patient centricity, is that go first to the credible international stakeholder groups or domestic think tanks, as a first port of call, rather than Adam Smith’s ‘invisible hands’ who might not actually have the patients’ best interests at heart. Kitwood, T. (1997). Dementia reconsidered: the person comes first. Open University Press.